According to recent research in Italy, being exposed to benzene, an industrial solvent, increases the risk of getting multiple myeloma. It also increased the risk of developing chronic lymphoid leukemia. The risk of chronic lymphoid leukemia was also increased with exposure to two other oil-derived industrial chemicals, namely xylene and toluene. 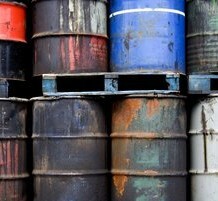 Benzene is a known carcinogen which was already been linked to acute myeloid leukemia, although its links to multiple myeloma and chronic lymphoid leukemia “are still under debate”, according to the study team, which was led by Dr Adele Seniori Constantini of the Center for Study and Prevention of Cancer. Benzene is used in the manufacture of dyes, drugs, plastics and synthetic rubber. The study looked at all cases of blood and lymphatic cancers in persons aged 20 to 74 between 1991 and 1993. The study subjects came from 11 regions in Italy. Generally, the risk of the two blood cancers, multiple myeloma and chronic lymphoid leukemia, almost doubled with medium to high exposure to benzene. And, more intense exposure and longer periods of exposure translated to higher risk. In fact, medium to high exposure to benzene for at least 15 years raised the risk of chronic lymphoid leukemia 4.7 times! Similar exposure to xylene raised risk 3 times. In addition, similar exposure to toluene raised the risk of the disease 4.4 times. For multiple myeloma, however, association was only drawn with benzene and not the other two. I have NHL FOLLICULAR LYMPHOMA, JUST WONDERING WHAT MAY HAVE CAUSED IT. My brother’s nose inhaled the nail polish. 17 years old. There are 5 cm lesion in the neck under the skin. How regains health. Which drugs do you recommend. If help. I’ll be glad.